Need Tickets for Adam Lambert’s San Diego Show? 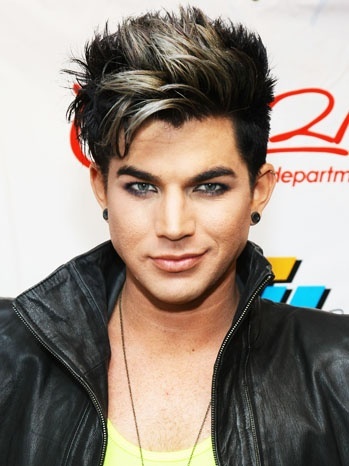 You are here: Home / More Featured Posts / Need Tickets for Adam Lambert’s San Diego Show? Did you miss out on the ticket pre-sale for @adamlambert’s July 2nd show at the San Diego County Fair? There was less than 24 hours’ notice given for the pre-sale, so many may have even known about it. Tickets go on sale Saturday to the general public, but the best seats (sections 3 & 4) sold out during the pre-sale. And there’s nothing like seeing Adam perform up close! I’ve seen some of these seats posted on public sites for up to 3x more than cost. While it’s not usually a practice of this site to list tickets, I wanted to let you know I have 2 seats up front that I’ll sell for cost-only. I am not looking to make any money. Lila and I didn’t realize that friends were including us in their purchase, so we have some extra seats in Section 2. The cost is what we paid, plus postage to you. Regular mail delivery is no charge! 🙂 I have a seat in Section 2, Row 6, and a seat in Section 2, Row 8. The cost is $86.21 each. Seating Chart. Please comment below AND email glambinfo@aol.com if you are interested. A San Diego vacation in July is absolutely beautiful and the San Diego County Fair is rated one of the best in the country. Add a stunning concert from Adam Lambert and it’s the perfect summer treat! I have a ticket but I’d love to buy a M&G if anyone has one for sale. They sold out before I even knew they were available. Total Charge: US $ 162.00 for both! Does anyone know the pre-sale password? I would really love to go, but probably unlikely. I will let some of my friends know unless you’ve sold them already. Why couldn’t it just be closer to Wisconsin. Have a great time. I wish Adam would come to the East Coast…….South Carolina is beautiful !! I’d love a ticket if one is still available! I know this is a crazy question-but for Adam–I just HAVE to ask. Does anyone have a M&G ticket they would want to sell? I live here in S.D. and have been trying to meet him at radio station promos, pre-concert events but to no avail for the past 4 years. Been getting up extra early to dial a radio station to win a ticket for weeks on end only to hear they are all gone.Tried to get a VIP upgrade ticket for the July 2nd concert in Del Mar but was told they were all sold out seconds after the pre sale started. Again, I was heartbroken. All I want to do is give him a hug and tell him “Thank You” for all he has done to lift up my heart-especially following my surgery 2 years ago.I know I’m just one of millions-but like I said –I just HAVE to ask. Meeting Adam would be the world to me. Thank you. I would also love to get a meet and greet pass if anyone can’t make it or has to cancel at the last minute. Not that that would happen but if it get down to me I have the money ready to send your way. How did they sell out so fast? I was so ready this time. I got my seats. Not together but when listening to Adam You are always with the best people. See you all.